Gabe played the trump card with this one. It will be one of my favorite birthday memories for years. This date happens often in the summer, and doesn't require a babysitter. 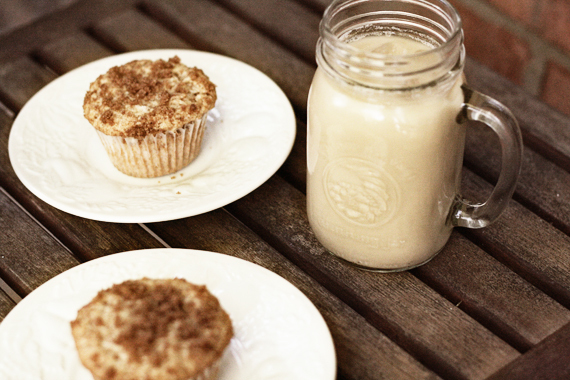 We just get up early, head out to our front porch, have iced coffees and talk about life. Probably one of my favorite dates to do. 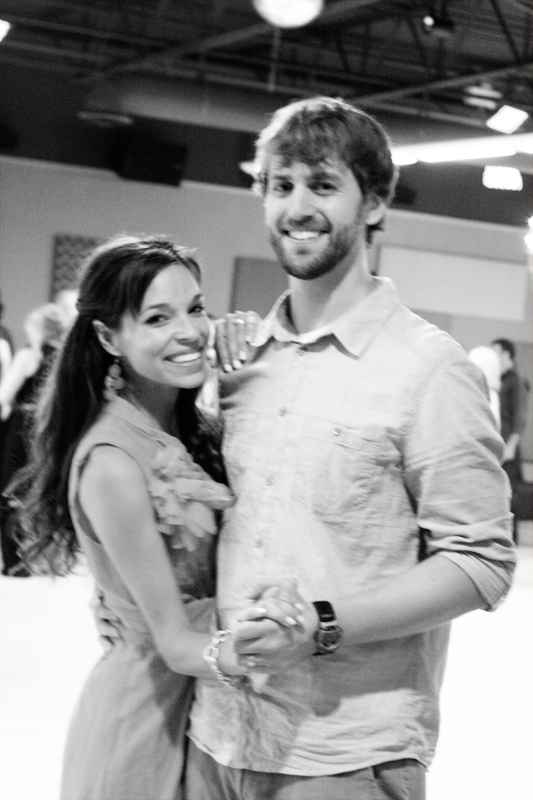 So blessed to have this guy as my spouse in this life. He makes this world pretty wonderful. LOVE the front porch & back deck dates! My hubby and I do this often too but we moved it to the back deck last week and just sat and talked for a few hours - so nice. So sweet! Hubby and I have morning coffee dates at our local Caribou. You two could not be any cuter. I'm loving your ideas for dates! I recently did something along the lines of the coffee date with my boyfriend of 3 years. We played this game while we sat by a lake, "the two things game." There really aren't any strict rules, you simply pass back and forth to pick any two things about any two questions. For instance, "What are 2 adjectives to describe how you want your life to look in the future?" "where are 2 places you want to visit in the world," "What are 2 things you want to change about yourself," "What are 2 things you love about me." We ended up going back and forth for such a long time! Asking things like what two professions we;d like to try for a day, 2 languages we wish we spoke, 2 people currently inspiring us-- totally random things and whatever came to mind. It was great to not assume you know anything about the person you've been with for along time. you can't imagine how much these posts are inspiring me. simply put... we need this! I love this one! I would love to take dance lessons (my husband, on the other hand, may not be so keen on the idea)! I may have to pass this one along to him for a little hint. Our anniversary is coming up too :) I love these date posts, Anna, love 'em! What fun and romantic dates. You and Gabe must be having so much fun. Hope it continues! obsessed with you two. and you are just soo stunning anna. You two are seriously the cutest couple! Love, love that you still make time to spend together and connect. 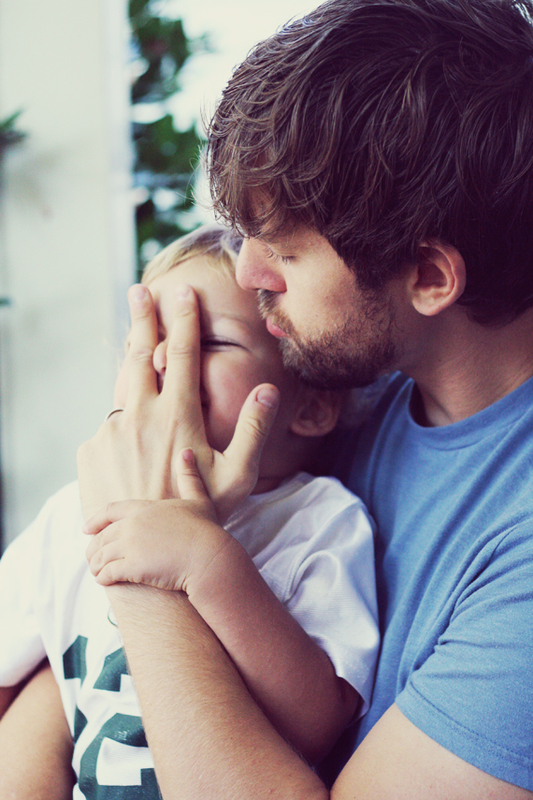 My husband and I don't have kids yet, but what you have is what I aspire to in our marriage when we do have children. We get date nights most nights now even if it's just lounging in front of the tv watching an old television series together or making homemade pizza and drinking wine, but when our family does grow and little ones are running around and life gets even more chaotic, I hope to still squeeze in time for just he and I.
you two are so perfect together. you look so pretty too! love that color. and has anyone ever told you that your husband looks like the guy from the office?!. hehe. How sweet!! That is definitely a priceless gift, how thoughtful of your sweet hubby :) Looks like you had a blast! Love the dance lesson! Such a great birthday surprise! Dance lessons! Oh, your husband wins so many points for that. You look so excited! Dance lessons are so great! I've been wanting one for a while now but haven't had a chance to look for a good one. How cute is this! That is so nice of him!!! Jesh good dates...idk where you live in relation to water but where I live the Charles River runs through and there is a walk way all along it, I been asking Jon to take a walk with me foreverrrrr! I think this weekend he will finally do it! With a picnic in the park maybe? Both are great ideas for dates! Love your dress, btw. 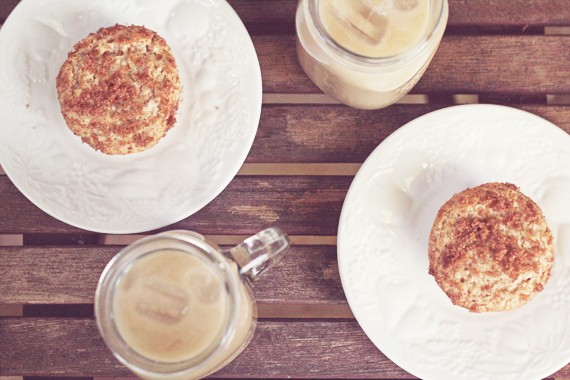 What are those muffins you had with your coffee? They look fantastic. Love your date series. It is so inspiring! Anna thanks for sharing with us how you and Gabe are staying connected, even when your date is crashed! Loving these photos Anna, and truly what a wonderful way to celebrate a birthday. 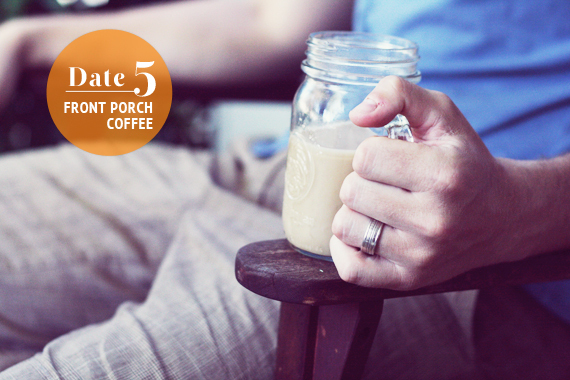 Love the iced coffees on the porch too. Great idea to connect with your spouse. I've always wanted to take dance lessons but the Better Half doesn't think it will be quite how I've got it in my head! Date Nights/Days are so important in a relationship - it's so easy to 'unconnect' in our busy lives. I absolutely love this series! My husband and I don't get to "date" much because of the cost of a babysitter but there are some great ideas here, loving them! Bet your loving them even more ;) Happy Birthday Anna! this is all so sweet. you guys are stunning together. He's a good good man to take lessons with you! So so cute! 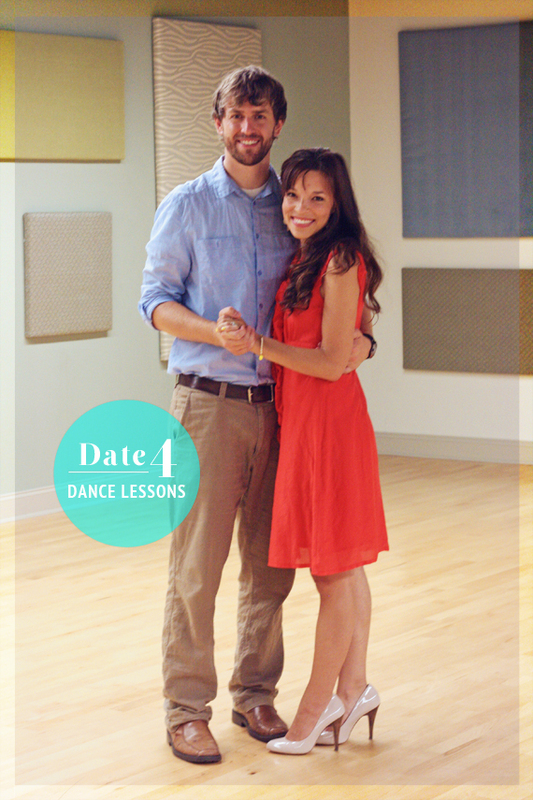 Love the dance lesson idea! Love the front porch coffee (especially the mugs; I totes need to order some of those!). And absolutely ADORE the dance lesson! I think we need to do that. You 2 are really cute! What a sweet family you make! so sweet!!! i adore that you both have similar likes and that you talk about life. it's interesting and gives more meaning to pursuing everything. P.S. Your date crasher is so cute! how cute are you guys!! i want a date like that! All yays for date Nights, Anna! Lovely pictures and fabulous date ideas... My favorite date is breakfast in bed. I prepare everything the night before, get up a bit early, assemble everything on a bed-table, and we enjoy a dreamy, lovely breakfast in bed. Though, we have to keep this one for weekends, so we can extend out morning treats. You two could not be a more adorable couple. Love seeing photos from your summer dates! Recently a friend of mine had an Argentine Tango party, complete with instructor. Something about it really struck a chord with my husband, so I am signing us up for summer dance lessons pronto! Utterly adorable - especially that last photo! This is so wonderful. You definitely have a good one! Love all the date ideas. Did you make a point of going on dates before you had kids? Very sweet! Sounds like God is blessing your marriage and the effort you are putting into loving and serving each other. I take ballet and hip hop from my city ballet company, and look forward to it. I'm not the gym type so thank goodness there is dance! My boyfriend and I had an ice cream and coke date by the waterfront in our city last weekend. We also love visiting our state parks and hiking.